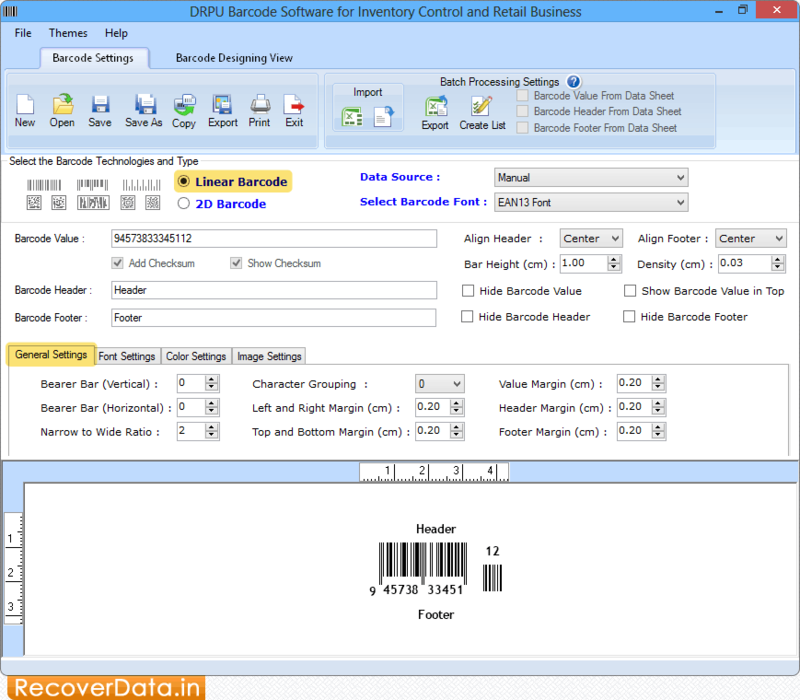 Select any one option among Linear Barcode or 2D Barcode. Click on 'General Settings' tab to specify Character Grouping, Header Margin, etc. 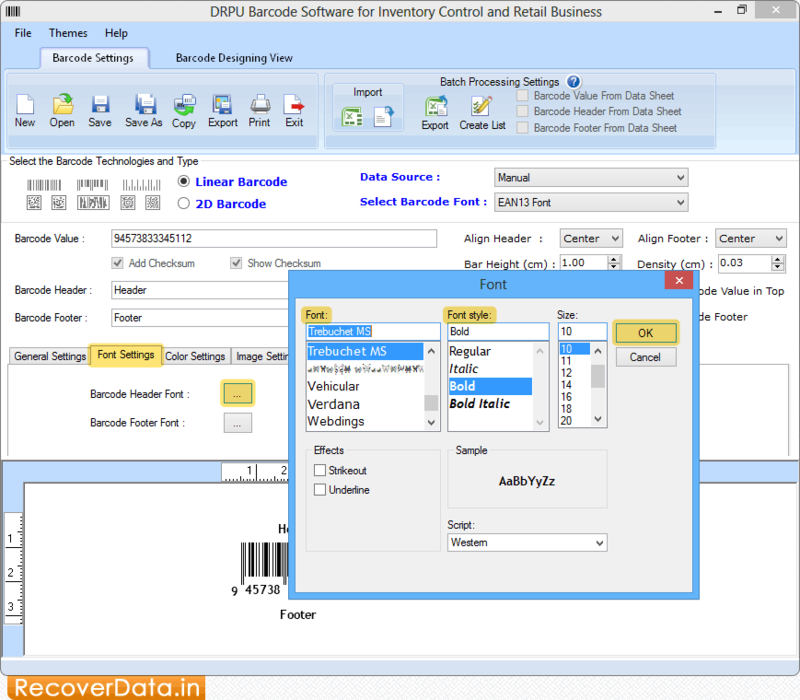 You can adjust Barcode Header, Barcode Footer and Value Font using 'Font Settings' tab. 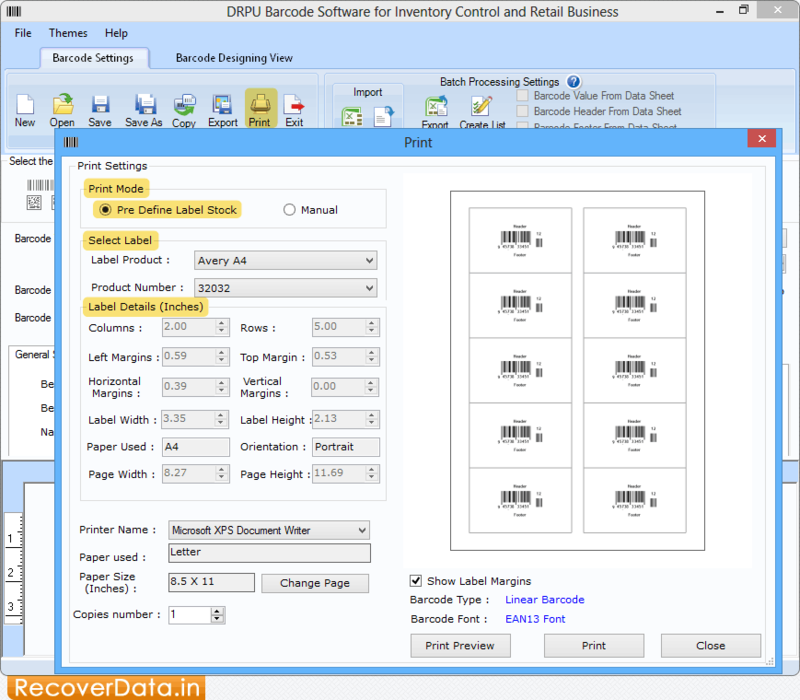 Choose 'Pre Define Label Stock' then select Label Product and Product Number and click on 'Print' button to print your desired Label.